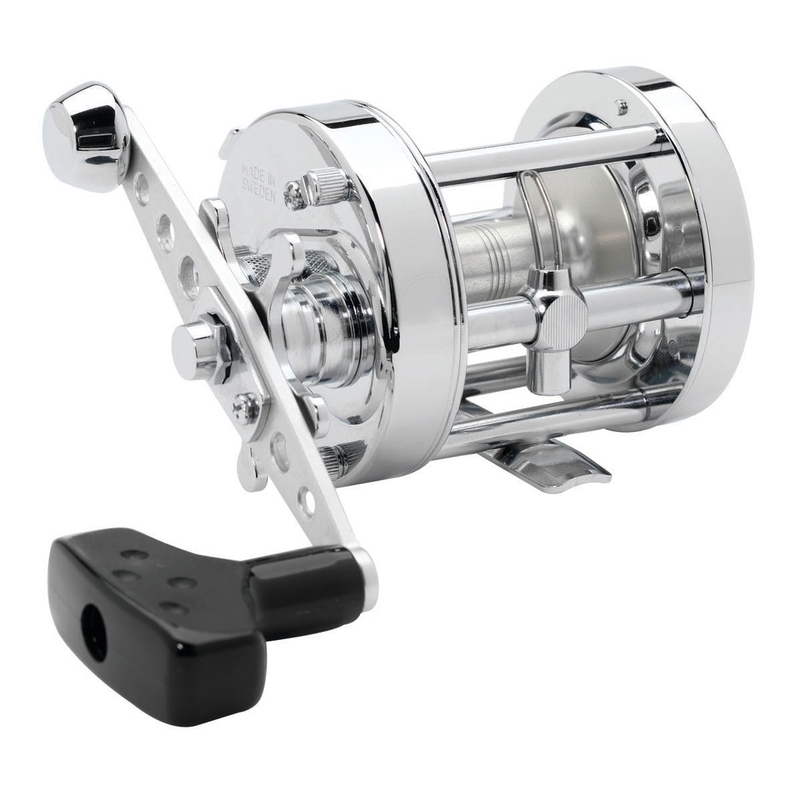 Abu Garcia Ambassadeur Chrome Rocket 6500CS Reel. The rocket is the famously, freespinning, centrifugally-braked distance reel in the range, for the true purist. The rocket has no mag-brake, so the spool just keeps on going and going. The pro Rocket series, and it's head-turning cousin the Chrome Rocket, can hit almost 300yds - if you can handle the speed!